Make the right move on Valentine's day. It's only fair. Baby girl are you feelin' down? Cause I could feel you up.' 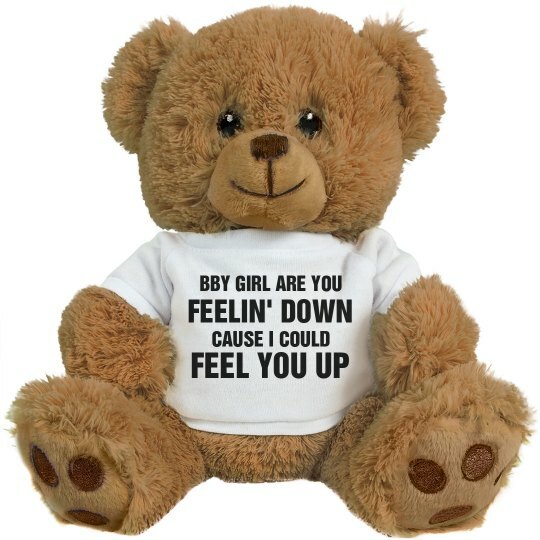 See how far your girl will let you go after you get her this funny teddy bear.